I got this message from my sister this morning about her beloved GSD. My sister adopted this well-behaved GSD just months before our mother passed, and Jessie was a god-send to help my sister cope with our mother's declining health and passing. Jessie is now about 6 yrs old. I woke up this morning to go to my course. Jessie didn't look good, breathing hard, unstable on her feet, leaking pee, hard abdomen. She was fine yesterday, running, jumping, catching snowballs. Brought her into the ER vet, she has blood in her abdomen. They think she has a tumor on her spleen. She will go in for surgery.....if it's the liver instead outcome is euthanasia today.... Even if the spleen, she might need chemo. Anyone else's dog have these symptoms, and what was the diagnosis? Thanks. Unfortunately very sad it is probably this horrible disease. 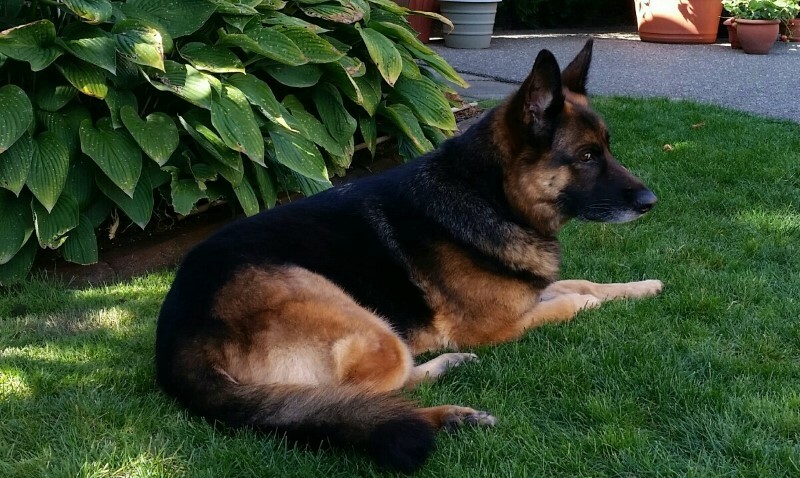 A dear friend of mine just lost her beautiful, kind, smart GSD girl, just 2 months shy of her 9th birthday, to the cardiac form of hemangiosarcoma. She showed no signs of being unwell, until one day she suddenly wasn't right, was immediately rushed to the vet...and she didn't come home with my friend later that day. This is a dog that had earned her OTCH, as well as the HGH, was a Rally Grand Victrix, and was still competing in the upper levels in AKC Obedience--in fact, my friend and the dog had been going to be competing in an OB trial that was held two days after that awful last day. It's a sneaky, sneaky disease, and most commonly isn't discovered until it's really too late to do anything but say goodbye--often, it doesn't even give you that much, you just come home or wake up and find your dog has quietly passed. I hope that GSDHeritage and I are wrong, and that your sister's Jessie's issue is something else, something ultimately resolvable and treatable...and if not, please give her my sincere sympathy as someone who is far more familiar with the disease than I would ever wish anyone to become. My sister got the news she was fearing - Jessie's spleen had ruptured, which explained the blood in the abdomen, but when the vets opened her up they found multiple nodules of cancer on her liver as well. Jessie was then PTS. As with other stories about dogs with this cancer, Jessie had seemed happy and healthy just yesterday, playing in the snow and having a grand time. This is devastating for my sister, and I feel at a loss to help other than by phone (we live 8 hrs drive apart). When my sis gave me the news, I asked if she had a friend who could accompany her to the vet to say her goodbyes. Fortunately, her friend was around, which gave me some solace in that my sis would not be facing this alone. I was the person who brought my sis and Jessie together, as I had seen a post on FB about this GSD in her area that needed to be re-homed. The perfectly mannered GSD, Jessie fit into the household like she had always been there, and had a special connection with my sis. Jessie was the perfect dog for my sister during a very difficult time as sis was nursing our Mom at home who was dying of cancer. I really believe that Jessie's presence and comfort was essential for my sis to be able to cope with the mental stress of caring for a loved one with a terminal disease, and am grateful for the time that Jessie was in my sister's life. It is a fortunate thing that this wonderful dog did not suffer, passing suddenly after 18 months of being my sister's emotional support and constant, attentive companion. RIP Jessie. Thanks for all the supportive comments and information. Really sorry Koots, please tell your sister we all send condolences from here [is that okay guys ? ]; its an awful blow, and as Hexe said one that has come all to close to some among the regulars of PDB. There was a thred recently on the topic, if you want to look back about 6 pages. I can't remember if I mentioned it on that thred, but here in the UK we have a Dr Sargan who has taken a lot of interest in haemangiosarcoma in GSDs, so hopefully something might eventually come of such research that helps defeat the problem. Eska's grandfather succumbed to this awful disease last year. So yeah, this hits very close to home. He, too, was happy and healthy until that first bleed. 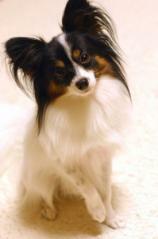 He recovered so well after the initial diagnosis, that his owner decided to go for the surgery. Alas, the results were the same as for your sister's dog. He was 10 years old. So sorry, Koots. Give your sister my condolences. Deepest sympathies to your sister Koots. Koots, Sorry your sister lost her beautiful girl to this horrible disease. Jessie was a special dog the look in her eye says it all. My sincere sympathy to you and your sister on the loss of beautiful Jessie.